In November, alternative energy and the building industry met in Washington, D.C. at Greenbuild, a premier event for sustainable building that includes conferences, education, and an exposition. Westport was there, featuring alternative fuel vehicles on display for two of our industry partners. A Westport WiNG CNG-equipped Ford Transit Cargo Van was on display in the Ford booth at Greenbuild. The Ford Transit CNG is also available in the passenger Wagon model featuring up to 12-passenger seating available with rear CNG installation. Please contact your Westport Sales Representative for Transit Wagon specifications and seating capacity requirements. 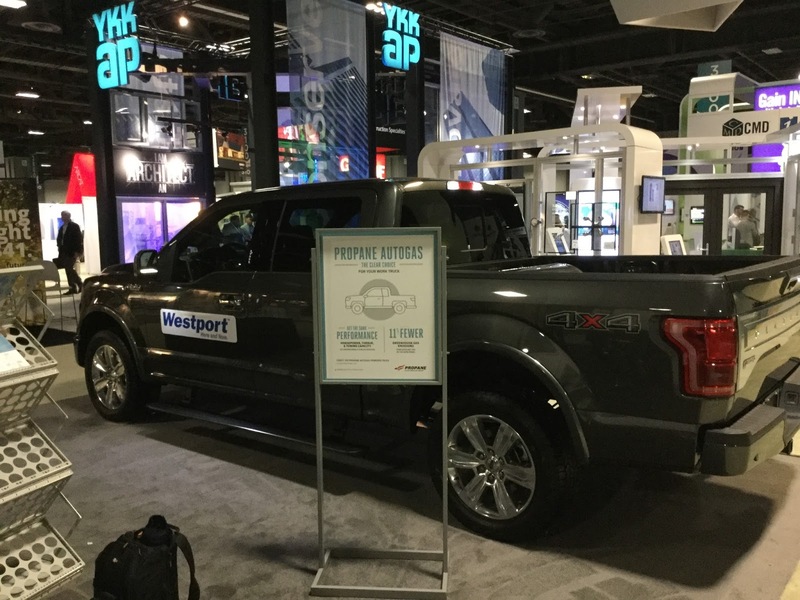 In the Propane Education Research Council (PERC) booth, Westport showcased its new propane autogas-powered Ford F-150 with liquid propane injection. The liquid propane system provides consistent volumetric efficiency and delivers superior power and emissions when compared to existing vapor propane systems. Find more information on both of these products, and more alternative fuel vehicle options for fleets, at www.westport.com/products.